Another new year has arrived and as we saw during show season in November, there are a ton of great motorcycles and scooters arriving as well. In this blog I'm going to be looking at some of the brand new scooters releases for 2019. 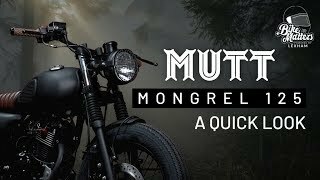 We've seen the new design trend of fusing retro and modern ideas catch fire in the motorcycle industry of late, Motorcycle Live was overflowing with examples of it and now it's spreading to the scooter category too. Honda's new Super Cub 125 is a fine example, a name that's been around for 60 years now (the original first arriving in 1958) and is still a huge seller in Asia. The new Cub returns to European markets with updated styling and technology suitable for the modern urban commuter. The 2019 Cub C125 still sports the unmistakeable retro body shape of the original but with modern twists like the stylish LED headlight and a new metallic paint-job with chrome accents bringing it up to date. The changes aren't just visual either with a host of improvements aimed at creating a scooter that really fulfils the needs of it's target market. A new large and spacious seat is rubber mounted, so are the handlebars and rubber has been utilised on the shift arm and clutch damper, all aimed at reducing noise and providing a smoother ride. High precision bearings in various engine components should contribute to the reduced noise as well. ABS and keyless ignition are both present and perhaps one of the biggest selling points of this scooter is it's economical value, the bike will be priced at £3399 and it's 4 stroke 125cc engine promises to cover 153 miles on just four litres of fuel. Unveiled at EICIMA at the end of last year, BMW's new touring scooter looks set to be a big seller in 2019. Building upon the success of the C 400 X the new GT utilises the same single cylinder engine and transmission but with all new bodywork designed for maximum wind resistance and comfort. The BMW C 400 GT is definitely a beautiful looking maxi-scooter with its futuristic design, when I saw it in person at Motorcycle Live back in November, it had a constant crowd of admirers surrounding it. Whilst designed with wind resistance in mind the scooter should still be compact and agile enough for effective urban commuting. The 350cc engine with 34 hp output means it will have plenty of pull in the city and be comfortable at cruising speeds on tour. Automatic stability control (ASC) prevents rear wheel spin, meaning improved acceleration but more importantly increased safety in Britain's poor weather conditions. As with all maxi-scooters, emphasis has been put on luggage space with the GT offering two glove boxes and an under seat flex-case. LED headlights with a daytime riding mode, ABS and keyless ignition all come as standard on the £7050 model and for an extra grand the C 400 GT SE version offers extras like a heated seat, heated grips and full multimedia connectivity with it's TFT display. There's been a variety of premium scooters emerging in the last couple of years as manufacturer's like Piaggio, Honda and Kymco have all begun to offer luxury versions of some of their top models. Yamaha themselves already offer the luxury TMAX DX (you can see more on that in our maxi-scooter blog) and are now offering a premium version of their entire XMAX range titled IRON MAX. The XMAX IRON MAX comes in 400, 300 and 125cc versions and features an exclusive Sword Grey paint scheme with a luxurious dual seat, leather interior pads and aluminium footrests. We will take a look at the 125cc version here as the most accessible, this could be a great starting point for anyone looking to switch to two-wheels for their commute. The XMAX IRON MAX 125 packs a variety of features you wouldn't normally expect on a 125cc scooter. On top of the luxury parts shared by the IRON MAX range, it also boasts keyless ignition, traction control, motorcycle style front forks, large LCD display and an illuminated storage compartment large enough for two full-face helmets. The 125cc version looks every bit as premium as it's larger counterparts and a price tag of £4649 makes it a great budget commuter, especially when you factor in savings on fuel, tax and insurance. I featured this one in my best of Motorcycle Live blog and safe to say it deserves a spot here as well. The Vespa GTS has been updated for 2019 and manages to look modern and fresh while still retaining that classic Vespa style, the end result is something a bit special. Looks aren't the only thing updated however with an improved riding position and full colour TFT screen. Perhaps the most important update is Piaggio's new 300cc HPE engine, offering impressive increases in torque and power, in fact it's the most powerful engine ever used on a Vespa. The new GTS will be available in 300 and 125cc versions and will be coming in a variety of new flavours with the GTS HPE Super already in showrooms and a Touring edition arriving next month. The new GTS 300 HPE Super is priced at £4999 on the road with the 125 version at £4499. I think the model that has drawn the most attention so far is the GTS 300 HPE SuperTech, which was on display and looking fantastic at Motorcycle Live. This one will be arriving in April and we are still waiting on a price from Piaggio but I have no doubt it will be a top seller. The new XCITING S400i was released at the tail end of last year and is another premium offering, this time from Kymco. I saw this one up close at Motorcycle Live and the first thing to mention is the slick design. The matt blue finish really compliments the sharp styling with it's all LED lights and one of the sharpest tail sections I've seen on a scooter. This thing looks the business. Like most maxi-scooters its aimed at the commuter / touring market and comes prepared for just that, with a huge luxury seat, ABS, adjustable suspension and a 400cc single cylinder engine that's comfortable at cruising speeds as well as nipping through traffic in town. There's also plenty of storage space with two glove boxes and a large under seat compartment. Perhaps its most impressive feature however is Kymco's Noodoe system. It can connect to your phone via bluetooth and display sat-nav directions on the dashboard, you can also use it to read texts or check the weather or if you feel the need browse your phone's image galleries all on screen. There's also an app that can customise the scooter's display. 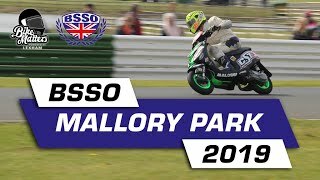 The Kymco XCITING S400i has one more weapon in its arsenal and that's the price, at £5599 that's a lot of scooter for the money and it can be ridden on an A2 licence so a great option for anyone looking for some quality on a budget. 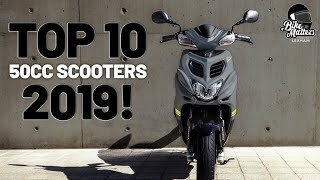 That's my Top 5 hottest new scooters for 2019, so keep your eye's peeled for these on the roads for 2019. Lexham Insurance provide the best deals direct, and offer specialist schemes for scooters of all sizes. Call us direct today on 01379 646 504, or quote online for your best quote from us!